About 15 years ago my late husband and I sailed on the Thames on a barge from Windsor to Oxford. It was an eight-passenger vessel, but only six were on board. Our fellow passengers were a couple of retired British military officers and a couple from Kentucky. 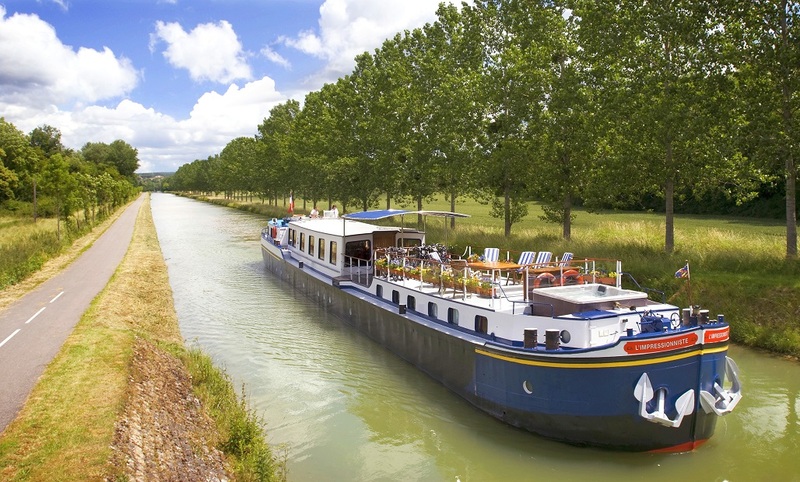 The weather delightful and while our cabin was small, it was a great week of great vistas, great conversations (lasting ’til late at night,) and marvelous food and drink..
At the end of the month a friend and I will sail on the barge L’Impressioniste, through the canals of Burgundy. I am looking forward to it. European Waterways (www.gobarging.com) is the same firm which organized the Thames trip, and this itinerary looks lovely. Follow me and I’ll share the experience with all of you.